MainAll NewsInside IsraelGilad Schalit: Free Pollard! Former captive soldier asks public to sign petition calling on President Obama to free Jonathan Pollard. 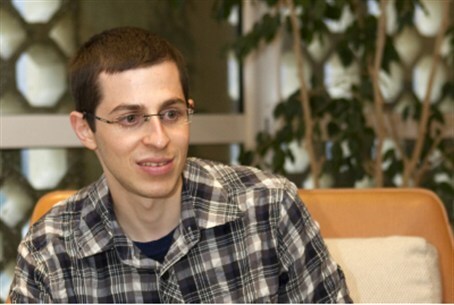 Gilad Schalit, who was held in captivity by Hamas for five years, called on Israelis to sign the petition calling upon U.S. President Barack Obama to free Jonathan Pollard, who was jailed over 27 years ago for spying on the U.S.
"I have signed the petition," Schalit wrote on his Facebook page. "Please, sign as well. Freedom is a great gift and right. Thank you to all those who were active on my behalf. Now, please join the effort to save Pollard. Gilad Schalit." More than 138,000 have already signed the petition, which is gaining momentum as Obama's visit – scheduled for March 20 – nears. Signatories include people from all segments of the political spectrum in Israel, including former President Yitzhak Navon and former Military Intelligence Chief Maj. Gen. (res.) Amos Yadlin. Schalit's father, Noam, has called to liberate Pollard in the past.